The process of evaluating, originating and servicing mortgage loans contains numerous requirements that come from several regulations. Those regulations cover various aspects of the transaction - from product planning through servicing. Failure to comply with each and every requirement can result in liability in one form or another. This program focuses on origination of closed-end loans secured by real property. It does not cover open-end credit or credit that is unsecured or secured by collateral other than real estate or a dwelling. 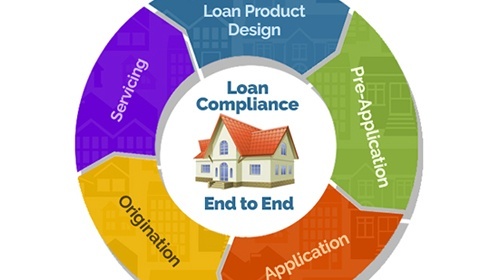 This four-part program provides a very comprehensive review of the mortgage lending process from initial product development to origination to end of loan life servicing. The program breaks down the lending process into the appropriate phases. It explores which regulations apply to each phase and which actions are required by those regulations. Participants receive a detailed manual that serves as a handbook long after the program is completed. Unfair, Deceptive or Abusive Acts or Practices. The program is designed for loan officers, compliance officers, loan support staff, marketing staff, auditors, and any others with responsibilities related to and aspect of mortgage loans.